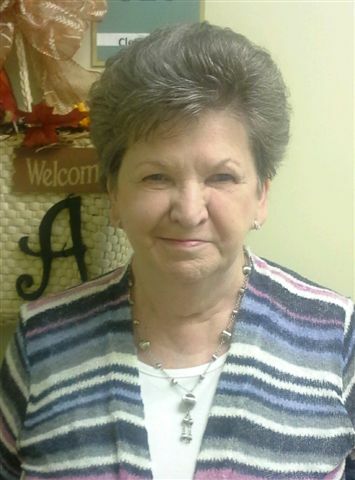 Cleo Allen, age 81 of Hardinsburg, KY died Friday, 4-12-2019 at Allegro Assisted Living in Elizabethtown, KY. She was born in Locust Hill, KY on May 15, 1937, the daughter of the late Harold and Ruah Drane Dyer. Cleo was a member of Hardinsburg Baptist Church, Breckinridge County Historical Society and a resident of Allegro Assisted Living. She was the former owner and operator of Cleo's Beauty Shop, a gathering place for many women who became friends and shared their happy times as well as sad times - a place where they became family. She loved her family and friends, collecting antiques, playing Bingo and mission trips. In addition to her parents, she was preceded in death by her husband Donnie Allen, daughter-in-law Christy Allen, siblings Jimmy and Tom Dyer, Joyce Wheatley and Shirley Harp. Funeral services will be held at Trent-Dowell Funeral Home 308 South Hardin Street Hardinsburg, KY on Tuesday, 4-16-2019 at 11 AM. Burial will be in the Old Hardinsburg Cemetery. Visitation will be held on Monday, 3:30 - 8 PM and after 8:30 AM on Tuesday. All times are central. Expressions of sympathy are suggested to Hardinsburg Baptist Church.